So I thought to call her yesterday, actually didn't thought to I'd called her! She than called me back as was not able to receive and told me she doesn't have balance. Which was usual and the she disconnected the call. I called her back. Then we talked for around 15 minutes over call. I was raining as I was out at night around 1030 past night. Was sitting one the stairs under the tree where I could see the cold drops pouring over me. I then asked her, If we could meet for some minutes tomorrow As I thought and wanted her to wish Eid Mubarak. But she laughingly unwillingly exclaimed saying no! Well I was wondering her whims and fancies ! I asked her couple of times about the reason of her dissent for the same but she didn't care. And then she disconnected the cell, I went home it was 1130, was thinking about it whole night till the clock strikes 1212 I messaged her Eid Mubarak ! But there was no response from her side. Might be she might have slept though I don;t think so! I than thought to message something else I was typing but could not my mind of and then one of my friend called me saying we'll go a little late gym today! On my questioning he inquired me that one of her friend asked him to come home at 400 for Eid so. And than my heart and eye burst into tears. I wrote Sky! I'm sry! and sent her. Today I wake up at 930 my mind is heavy to handle and thinking about the reason but if my god know how true I'm but you and your words don't rely upon. So it was today I called her but as usual she didn't receive ! So It was 12:36 I'd called her! She was at her grandparents home. I asked her why she didn't call me back and in a fury she let the wind take off the talks and changed it. A minute later she asked me if she would talk sometime later and disconnected the cell. And then I was seamlessly taking the phone in hand waited even now I'm waiting. I didn't know when I slept waiting for her call be she never called. Does it hurt well yes! Meanwhile after coming from Gym my friend told that he had went to, her friends home and it was good they were not conservative but rather open minded seeing to which I wonder about her anyway. So it was 1022 when she gave a missed call! I'm thinking should I call her or not! Because she will not understand why I'm hurt when I'd so much feelings about the day and wanted her to give just because she have a mindset and avoidably the reason because it's ME where her words and action contradicts ! 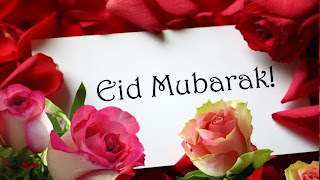 My Wordly Affairs with Words | Apoorv Agrawal : Eid Mubarak sky !